Our loyal reader may find this a little tedious now, as we return to the issue of the £40.2 million in uncollected Council Tax which “award-winning” Croydon Council claims is not as bad as it looks. We apologise and beg your indulgence, but Gavin Barwell, MP for Croydon Central, maintains that the actual figure is by no means that bad, and in fact it should be only £36.2 million. So that’s alright then. In the spirit of openness and transparency, we feel a public duty to return to the topic, since Gav has gone to some trouble to confirm the government figures, which we re-published, to be correct. Our loyal reader will recall that when we first re-reported the Daily Express story that highlighted this, it was based on figures released in parliament, from a government department report, and taken from work done by the Chartered Institute of Public Finance & Accountancy (CIPFA). Note the use of the word “colossal”. And the phrase “topped the list” in a report on the amassed totals of Council Tax uncollected by local authorities across the country. The Express report also quoted Grant Shapps, the Local Government Minister who, using the uncollected Council Tax as a stick with which to beat Labour-controlled councils, described their conduct as “displaying breathtaking incompetence when it comes to basic financial management”. And with Croydon sitting atop of that pile, you’d have to reckon that this applies to them, too. 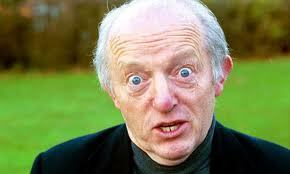 When Paul Daniels practises distraction, he calls it “Magic!”, and we may like it, but not a lot. It’s a bit like what paragon of “efficiency”, Nathan Elvery, Croydon’s deputy CEO, Councillor Dudley Mead – an accountant, and in charge of policy on council finance – and Barwell have been trying to do over the Council Tax figures. They point us in the direction of spreadsheets with less unfavourable columns than the one showing the mountain of cash that they have failed to collect. The Conservatives have been in control of Croydon for five years now, so you’d think that a local authority that is capable of boasting of the prize it has won for “efficiency” might have got to grips with the matter by now. Two weeks ago, on his own blog, Gavin Barwell MP promised to set the record straight with the full figures. This week, good as his word, Gav came up trumps. He sent us the CIPFA spreadsheet. The same figures which the Local Government Department has had on its website since last June, and which we’ve been linking to for nearly a month. Barwell chooses to highlight the amount of Council Tax uncollected by Croydon in 2009-2010 (when he was still a Croydon councillor) of £6.9 million, and what he calls a “fairer comparison”, the collection rate that year, of 95.6 per cent. Then he turns to the issue of “Cash amount of historical arrears”, where Croydon’s figure is £36.2 million. This is in a column of figures for other outer London boroughs, such as Merton, where a relatively meagre £1.4 million has accumulated uncollected (how do they do it? ); where in Haringey, £21.7 million is accumulated uncollected Council Tax; even in impoverished, multi-cultural Olympic Newham, there’s only £15.8 million in accumulated uncollected Council Tax. Of outer London boroughs, even by the measure that Gavin Barwell MP directs us to, Croydon has by far the biggest amount of uncollected Council Tax, nearly £5 million more than the next worst outer London borough. Barwell’s “fairer comparison” figure, the percentage of the amount collectible, for Croydon is 20.4 per cent (there are four outer London boroughs with worse collection rates). 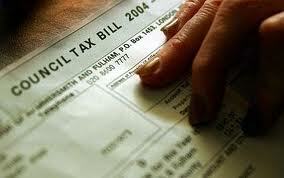 What this means is that £1 in every £5 of Council Tax remains uncollected in Croydon. “Efficiency”? Barwell explains that the £40.2 million figure which was cited as a result of a question in parliament and was reported by the Daily Express, “is the revised provision of bad debts”. 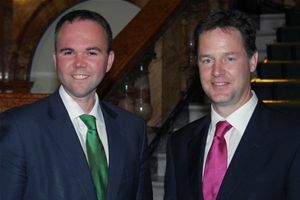 Disappointingly (we expected better, frankly, Gav), Barwell resorts to the career politician’s stock-in-trade of passing the buck and blaming the “other lot”. Yet the amount of uncollected tax, £27 million in just the past four years under Tory control, is three-quarters of the total outstanding. Who is responsible for that, then, Gav? No thanks to the council’s press office, Inside Croydon has managed to access some really revealing figures: Croydon’s Council Tax collection rates, compared to the council’s own targets. As our chum in the press office told us when explaining why he had not sent them to us, they’re all on the interweb, though it takes a fair old bit of searching – who designed the council’s labyrinthine website? Daedalus? You’d think they didn’t want ordinary folk to find out stuff. 2005-2006 (Labour controlled): £7.2 million. Any credit for the up-tick in collection rates from the first part of the last decade to the figures achieved more recently is probably attributable to an expensive upgrade of the council’s IT system around 2005 (towards the end of Labour’s time in charge). But Gavin doesn’t make mention of that. Even by their own measure – their own collection rate targets – Croydon Council has been woefully underperforming. Love the way that, having failed to achieve their own targets for three years, the target rate was reduced last year. And still Croydon failed to achieve it. Croydon, where “efficiency” is in the council’s DNA. This entry was posted in Council Tax, Dudley Mead, Gavin Barwell. Bookmark the permalink.